Hackaton Game of code application. 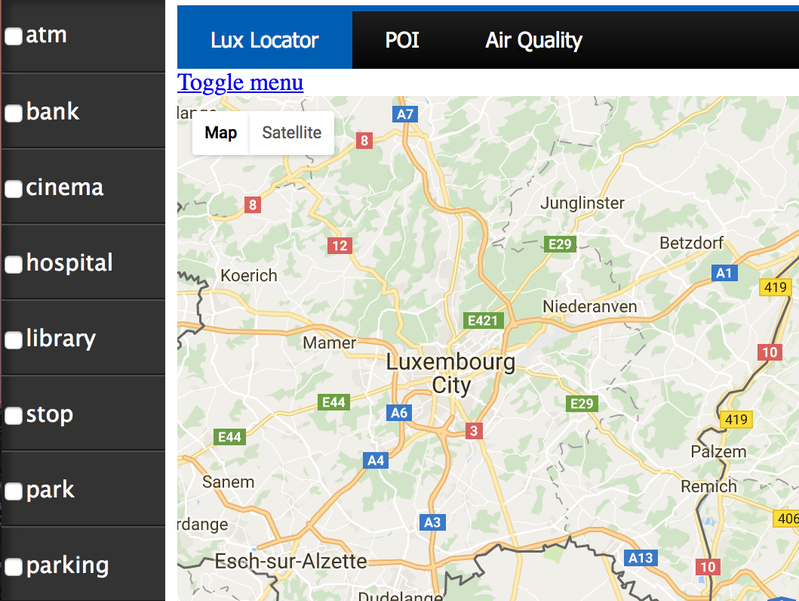 Find the perfect location for living in Luxembourg. A dashboard providing information on points of interest with support for custom filtering.